Limited. Thank you and over to you sir.Jaykumar Doshi: Thank you, Lisa and good morning everyone. On behalf of Kotak Institutional Equities, I welcome you all to Bajaj Consumer Care through Q3 FY19 earnings call. We have with us senior management of the company represented by Mr. Sumit Malhotra – Managing Director; Mr.
Sandeep Verma – President (Sales & Marketing); Mr. Dileep Maloo – Chief Financial Officer and Mr. Kushal Maheshwari – Head (Treasury). I would now like to hand over the call to Mr. Malhotra for opening remarks. Thank you and over to you sir. Sumit Malhotra: Good morning and welcome to the conference call for declaration of the quarter 3 results for the financial year 2018-19 of Bajaj Consumer Care Limited. I think the good news is that the name of the company has been changed from Bajaj Corp to Bajaj Consumer Care with effect from 1st January 2019. The change in name has been put into effect to represent what we do and what we aspire to do in the future. We believe that the new name will be more in line with the nature of our business and also takes into cognizance one of our core values of becoming more consumercentric, as FMCG companies should rightly do. been driving the growth of both, LHO, light hair oil and the total hair oil category volume growth and is at 2X of the total hair oil volume growth. Though we don’t have the December 2019 Nielsen data as yet, the good news is such the rural growth for Almond hair oil as well as the light hair oil continues to be good. The effect is seen on the volume of wholesale off-takes during November and December. This quarter saw all the sales verticals exhibiting a positive growth. The fastest growing vertical was canteen stores with a 35% value growth during the quarter. However, I would caution not to reach too much into this because this is after 6 quarters of negative growth and the outlook doesn’t yet seem to be very positive. almond within the total hair oil market, the market share in the total market rises by 50 basis points. If you compare MAT November 2018 versus MAT November 2017, healthy EBITDA of 32% despite strain of RMPM prices during the third quarter. Distribution is sitting all time high of 40 lakh outlets. Good growth of Nomarks post-launch, MAT market share hit is sitting 8.6%. This is 100 basis points higher than the same period last year. Conversion of sachet users to 10 bottles showing short-term results with crude prices dropping, LLP prices have started softening and this should improve gross margins post-February 2019. We are now open to questions. Moderator: Thank you. Ladies and gentlemen, we will now begin the question and answer session. The first question is from the line of Abneesh Roy from Edelweiss. Please go ahead. Abneesh Roy: Sir, my first question is on the direct coverage. For past 3 quarters, your number has been fairly stagnant at 4.8, 4.9, 4.92. Now in three months, you want to increase it significantly, what is the reason for such a sharp increase and is it possible to do that in three months? Sumit Malhotra: It is possible, it is not that it is not possible, you should realize that the source of the data is through our SFA, which is sales force automation and you actually keep updating it on a regular basis. So that updation would normally happen during the period Jan-Feb and therefore you should be able to hit 5.4 lakh outlets. Abneesh Roy: And sir, on the volume growth data, you mentioned 9% in the almond and 7% overall, so could you take us through how the 9% falls to 7%, so essentially the other parts of the business, how the growth is? organization, we are trying to be much more consumer focused and trade focused and with that the Corp seems to be a trading post rather than a marketing company and therefore with the changes that you will see as we go forward, this was one step we thought that was crucial to sort of reignite the internal passion of becoming more consumer focused, right. The second part was the EBITDA margin, yes I have always gone on record and said that 32% is fairly high data margin and it is bound to drop with new launches and acquisitions. Whether it will happen in this quarter or the next one or two years, I am not sure, but the fact is that 32% is a very high EBITDA margin. of non-FMCG consumption quite on the higher side, so in this my question is to essentially this 40%, is it largely because of the new launch and so, does it come down significantly in terms of growth in the coming quarter? Second, on the rural distress, what would be your comment on this pack and then over portfolio, what is the comment? Sumit Malhotra: Abneesh, just to put it on record, our Rs. 10 pack is not a new pack. It has been in the market since 2003. The only problem was focus. We really didn’t focus on it and in terms of even distribution, it is increasing but not dramatically. It is not like launching a new product and suddenly you build up pipeline and therefore you grow. So I am quite hopeful that this Rs. 10 pack, given our strategy of trying to upgrade from Re. 1 sachet to a bottle will work. That is our strategy for Rs. 10 bottles. Your second question was on rural distress. I think our feedback is that after November, there has been some change in that and the reason we are not in agreement to this distress is that the wholesale volumes have started growing up again and you would realize that the first indicator of any increase in rural uptake is wholesale because wholesale caters to the largest part of the rural area. Very simply, when you have 650,000 villages there is no way any company can look at it in terms of direct distribution and therefore indirect through wholesale is a very important indicator for rural offtakes. Moderator: Thank you. The next question is from the line of Sameer Gupta from India Infoline. Please go ahead. Percy Panthaki: This is Percy here. First just wanted to check on some numbers, if my understanding is correct, so ADHO volume growth is 9.4% and overall is 7%, so does it mean that the rest of the portfolio has seen a material decline? Sumit Malhotra: Percy, the other thing you are right, but the other things are the hair oil portfolio that we have apart from Almond Drops, this is a decline. Nomarks has not seen a decline. Percy Panthaki: And sir, over the last 1 to 1-1/2 years, whatever new products that you have launched, could you sort of give a summary of how those launches have been, whether which ones have been satisfactory, above expectation, below expectation etc.? Sandeep Verma: This is Sandeep here. Let me answer that question. So over the last four quarters, we have had three relaunches actually and one launch, one new product launch. First we launched was Brahmi Amla relaunch, which we did in September last year. Brahmi Amla relaunch is doing well in the urban and empty markets. Unfortunately, Brahmi Amla has a 35% contribution from CSD, which has basically taken the overall volumes on Brahmi Amla down. Other than that in modern trade it is growing and in general trade ex of the CSD. We are also focusing now with Brahmi Amla on the e-commerce channel a lot and it is doing quite well over there. Our next new product launch was then Bajaj Coco Jasmine product, which we launched in Maharashtra which we are doing more as a pilot to understand and iterate on it to help us understand what works, what doesn’t work. There, three months back, we had started doing a pressure test in certain specific districts of Maharashtra itself again to just understand what works and what doesn’t. So again, in those pressure test districts, we have done well, we are still looking at how do we take this pressure test into the other districts of Maharashtra now and get the same kind of growth in the other districts from Maharashtra. Once we have done with that, then we plan to expand Coco Jasmine into some of the other states as well. Then our third relaunch was Nomarks and you are aware of the Nomarks relaunch. We are gaining market share quarter-on-quarter. We are at our highest ever all India share, we are at a highest ever urban share, highest even share in UP itself, so that has done really well for us. Then, we launched Almond Drops itself in September and you are aware of the Almond Drop performance. Sumit had just spoken to you about it. So I think we have had a few hits and misses. I think our relaunches have done very well. Brahmi Amla has not gone as per what we were expecting, but largely because of the CSD factor, so we are hoping that once the contribution from CSD goes down, we will start seeing some growths over there as well and Bajaj Coco Jasmine like I explained is more of a pilot where we are still trying to figure out what works and what doesn’t work. Percy Panthaki: So, Sandeep, when do you see the overall hair oil volume growth exceeding the ADHO volume growth? Sumit Malhotra: That is the tough one question, when your 92% of your sales coming from one, you can imagine just like your mathematics, how much the other brands will need to grow where the Bajaj Amla. Sandeep Verma: And just to give a perspective if I take away CSD from the Brahmi Amla growth, then our other hair oil growths are actually higher than the ADHO growth, just to give you a perspective. Percy Panthaki: Understood, so it is mainly the CSD which is pressuring. Sir, second question is the volume growth that we have seen in ADHO this quarter at 9.4, we need to look at it in perspective of the last quarter’s performance also, right because last quarter you had said ahead of the relaunch, there is some amount of pipeline drying etc., can you just help me understand this number in context of pipeline adjustment etc., how does it look, I mean how is the underlying growth happening there? of that is behind us now. Percy Panthaki: So when you say offtake, these are Nielsen numbers, right? Sumit Malhotra: Yes, these are Nielsen numbers and these are YTD November because we still don’t have December numbers with us. Percy Panthaki: Understood, so sir since your offtake growth is continuously at least for the last couple of quarters coming higher than your primary sales growth, does it mean that the trade pipeline is shrinking materially and how long do you expect that process to continue? Sumit Malhotra: See, again personally we had this discussion many times and I have always maintained that since Nielsen is a sampling exercise, so there is always some errors, plus and minus and therefore if you look at Nielsen figures almost short of period, which is a quarter or 6 months, you will always have these things and if you look at it on a MAT basis or annual basis, these kind of numbers are much more easier to digest in the sense of comparing it to volumes. Also, the issue that we always have, we look at the company’s volumes which also include things like GST, international business, which is not a part of Nielsen retail survey. Percy Panthaki: So sir, what is the last 12 month’s average offtake growth? Sandeep Verma: It is similar, exactly the same as, not just last 12 months, even the last 9 months average offtake growth is just 2% higher than our primary value growth on ADHO of domestic. Percy Panthaki: So, what is the number sir? Sandeep Verma: So basically, if I look at domestic volume growth ex of the CSD, it is 7.01% and our average offtake volume growth is about 9.5%, so there is not that much of the difference between the two and actually value is even similar, value growths are even closer than this. Of course, one benefit that we should get hopefully in our offtake growth is now with the increased MRP that should start getting reflecting in the value numbers, which obviously start getting reflected or little faster in your primary sales value numbers per se. Percy Panthaki: So when you say YTD, you are saying Jan to November, right? Sandeep Verma: No Q1 to Q3. Percy Panthaki: Okay, April to November. Moderator: Thank you. The next question is from the line of Prakash Kapadia from Anived Portfolio Managers Private Limited. Please go ahead. Prakash Kapadia: I have two questions, Sumit. 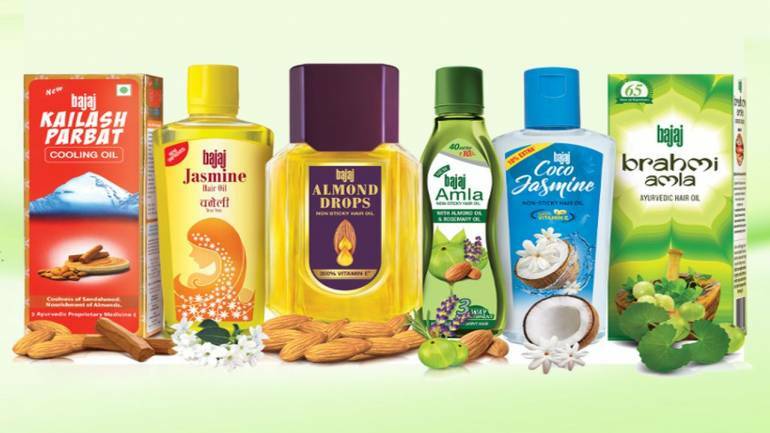 If I take slightly mid to long-term view, given that our market share in the category, Almond hair oil is at all time high and the initiatives which you are talking about of scaling some smaller brands and new launches, these will have some time to shake the needle because the contribution of Almond oil is large to our overall sales growth, so how do we achieve 14% to 15% kind of steady sales growth in the mid to long term, I am not looking at one quarter, two quarter, over a period of time, how do we achieve that? That is the first question and secondly, given that we have declared an interim dividend, can you highlight some of the issues which you would have faced while scouting for an acquisition, is it valuation, is it size or some of the other challenges in our key focus areas of hair and skin care? Sumit Malhotra: Two very deep questions. Let me answer the first one which is the source of growth. What you are basically asking is how are you going to get growth? Again, this is something I have gone on record and said that we still believe there is lot of meat left in almond oil, right because one way of looking it is at the market share within the light hair oil, but that is not how our consumer or how the market should actually look. We should look at the market share within the total hair oil because that is your playground, so you can’t say I will only play behind the stump area, I will play the whole cricket game itself. So keeping that in mind, our market share even in value terms, within the total hair oil is under 10% and therefore, we need to grow that. How do you grow that is the marketing task that we have been at for the last 3 years and we will continue to focus. Our new ad is actually aimed at gaining market share in total hair oil and not in light hair oil. So that is one big source of growth and if you can keep pushing at that and if volume offtake continue growing at the 15 odd percent, you would probably be able to use this as a major source of growth. The second is the new brand launches and extensions that could come up in the future and that is why we went on record and said that way actively looking at new launches. Yes, it could be better decorated, but I think the good news is that we are already fairly high on EBITDA and therefore, work from work, I think we have a play out there. The third obviously is acquisition because this is an effective use of our treasury because treasury, like I keep telling you it gives you some 8% returns and business gives you 32.5%. This is the three main sources of growth. Now, you can also look within India, where I am going to get growth outside India, but that is I think a long discussion which if required, we can have offline. Percy Panthaki: Yes, we will take it offline. Sumit Malhotra: Second part was? Percy Panthaki: Challenges in terms of the acquisitions when counting. Sumit Malhotra: I would like you know and I think it is hidden in your question itself, valuation is still very high and expectation especially after the recent two big acquisitions that happened are still obnoxiously high and therefore we are not desperate because this kind of valuation can push back the payback period to unacceptable limit. So we are looking at smaller brands, regional brands that we can actually use it and to buff up our strategy of growing in international businesses, we are looking at smaller brands outside India. Moderator: Thank you. The next question is from the line of Kaustuk Pawaskar from BNP Paribas. Please go ahead. Kaustuk Pawaskar: This is Kaustubh from ShareKhan BNP Paribas. Sir, my question is on the input cost, you mentioned that the LLP prices have seen a declining trend with the fall in the crude prices. Sir, just wanted to understand the benefit of same would start flowing in from Q4 or you will start seeing it from quarter 1 of FY2019 considering that you will be having some inventory left of the high-cost raw material? Sumit Malhotra: Like I said Kaustubh, yet we have stock until Feb, so it probably sees a new priced stock being consumed in Feb and March of this quarter and therefore hopefully when we report quarter 4, you will see the consumption coming down there. Kaustuk Pawaskar: And sir, what is the price increase you have taken in Almond Drops? Sumit Malhotra: We have taken 3.5% price increase in August, which actually came into the market in September. Kaustuk Pawaskar: And the Rs. 10 pack, how much it contributes, it contributes about 5.6% of your Almond Drop volumes? Kaustuk Pawaskar: And how was it, may be a year back or since? Sumit Malhotra: 80 basis points it has gone up and it has gone up only in the last 2 months, so you can expect to see what effect focus makes. Kaustuk Pawaskar: I think your focus turn up will or it was at a right time, may be? Sumit Malhotra: That time will tell Kaustubh, yes that is all about strategy, when you have, see may people looking at marketing, these are the calls that normally comes positively. Jinal Sheth: So that has to shrink overtime? Sumit Malhotra: Jinal again, it might shrink, but actually, over a longer period, it has already shrunk. That is the point I was trying to make and when we met also, I told you that Nielsen is the number that should not be taken to 100% correct and therefore trending should be what you guys should actually look at and the reason we put it in investor presentation is that you can actually see what is happening in the overall hair oil industry and not look at numbers and try to sort of build a model on my next quarter profit or turnover growth. Sandeep Verma: Other reason where there was a big difference I would say in the previous quarter, between our primary volume growth and the primary phase value and the Nielsen offtake value was also because of the ADHO relaunch, so obviously the offtakes will continue to happen because the stock is still there on the shares. While at this side, we had shut down the pipeline of old stock, so our primary sales suffered and hence, the primary sales volume and value suffered, but the offtakes continued to grow at a good phase. So I think there is that bit also which accounted for this gap you were seeing, but like Sumit is saying over the next, you know you add one more quarter, we are hoping that even this 2% gap between current primary sale volume growth and offtake volume growth will come down to may be next to nothing on YTD basis. Jinal Sheth: My last question is, in terms of the export outlook, do we still maintain the momentum that and the tone as what discussed last quarter or any change there? Sumit Malhotra: No, no change there. We will be seeing a little more light at the end of the tunnel. I won’t say we have come out of the tunnel, but I think we are seeing more light at the end of the tunnel. Moderator: Thank you. The next question is from the line of Amit Sinha from Macquarie Group. Please go ahead. Amit Sinha: Sir, firstly, the question is again on Rs. 10 pack and do you think that this will continue to remain the key grow driver at least in the near team? Sumit Malhotra: See, will it or will it not is the question I can’t answer at this moment, but it is a very important part of our strategy and therefore, we will continue to push it with all our mind. Sandeep Verma: So, I will such add that basically the rural penetration is actually much lower than our urban penetration and most of the time, this is what happen for premium brand and hence, both the Re. 1 sachet and the Rs. 10 pack are absolutely critical for us to enhance our overall rural penetration, so yes, at least we are looking at it as a strong driver of our penetration growth in rural in the future as well. where most of the rural consumer to bridge and hence, we were never able to get them to upgrade to a higher SKU and when the consumer continues to buy a smaller SKU of your product, there is a much higher likelihood of a switching over to some other brand and then hence, this Rs. 10 pack is important for us from that perspective of ensuring that we have a greater amount of consumer loyalty, but both your points are absolutely correct. There is definitely a risk of downgradation, the way we have tried to underplay or avoid this is by selling the Rs. 10 in slightly different channels, so we haven’t gone, for example into urban with the Rs. 10 pack. It is largely rural and semi-urban pack. So if you go to any urban market in India, you would not even find it there in the shop shelf, so we have restricted it to certain channels and certain geographies with the absolute objective of ensuring that there is no clash between the 50 mL pack and this pack and to answer your last question, yes the margin on this as the margin on sachet also is a little lower than the margin on the bottles. Amit Sinha: It was a very detailed answer. My second question is on the CSD channel and despite this quarter numbers being good, you have highlighted that there is some risk still remaining in the overall CSD channel sales, so just wanted some perspective on the same? Sumit Malhotra: Why I had said there is a risk because the whole strategy of CSD is not very clear. It changes from month to month or as you know, there is no Chairman of CSD as of now. The new Chairman is coming on a temporary basis and there is a lot of confusion in terms of what route do they want to take. Do they want to take by providing Jawans larger variety or steady supply of a limited variety of stock and until that happens, these numbers keep on fluctuating up and down. It is what the numbers or the orders for the current month and it is exactly the same as the average of what we used to do 2 quarters ago. So I am yet not very confident because I really can’t understand what is their future outlook in terms of supplying stocks to the Jawans. Amit Sinha: Sir, lastly on your new product launches and if I go one year back, I think both on the commentary side as well as on the action front, I think there was significant action from the overall company and some of the new products were doing significantly well quarter over quarter and I am including even Bajaj Brahmi Amla also as a new launch because I think it was on the ayurvedic side, but after the Coco Jasmine launch, we have seen some amount of kind of flake, if I can use that word, from your side and you have highlighted that some of the relaunches look your bandwidth. Now with most of the major products in the key segments done with the relaunches, can we expect the new launches momentum to continue going forward? Sumit Malhotra: See, Amit, this is a very analytical way of looking at it, which I don’t doubt, but in a marketing term, relaunch is actually a launch itself because you are looking at the change of packaging, communication, route to market and all that. So saying that relaunch is easier than a launch, I am not agreeing with you, but going forward, since our two largest brands already have been launched or three largest brands have been launched, it is logically correct. The new products that will come out from the market will not be relaunches or restages as if you can call. Sumit Malhotra: Yes, you are right, the pledge has been increasing, but I think as the Managing Director of Bajaj Corp, I can’t obviously comment on this because this is something the biggest stakeholder in this company is doing for just managing his personal financing, but the reason for increase in pledge is actually not because more shares are being pledged. It is basically because the stock price is coming down and therefore, proportionately, the number of shares will go up. That is certain. Ashi Anand: So it is not incremental financing, it is really just, he needs to give additional security to maintain that particular cover? Ashi Anand: And is there any outlook in terms of his desiring to actually unwind the pledge or this is also not something you can comment on? Sumit Malhotra: Yes and no, obviously a lot of debate that I have had with other investors on buyback, we have considered not now, we are considering it for the last 3 years, but at this moment, we believe that giving diligence is the better return to shareholders and buying it back, but obviously this is something which is…. Moderator: Thank you. The next question is from the line of Ravi Srivatsva from Bay Capital. Please go ahead. Ravi Srivatsva: Couple of questions, one how much is the distribution of Nomarks right now? Have we sort of become all India present or we are still in selected geographies? Sumit Malhotra: There are two parts. One is distribution which is numeric. The second is where we are now in terms of dedicated. You will realize that we started with UP, we have now moved into 3 states and around 4 or 5 large cities because if you look at the current market of Antimarks, it is largely in the large cities. We have been trying to change the thing and start going into rural, but that is the future project and not something that will yield results today. So in terms of numeric, we would be at around 2.1 lakh outlets all over in India. Sumit Malhotra: The overall category is only 350 crores as against 11,000 crores of hair oil. Ravi Srivatsva: The second question was on the whole disclosure standards in a way. In the last few quarters, what we have observed is that you used to give far more clarity over different oil categories that you have, oil brands that you have and the volume growth and value growth as well as the breakup of cost of goods and everything. That has over a period of time started to reduce. Why is that the case? Sumit Malhotra: The case is very simple. When you keep doing the same thing over and over, it loses its significance. The moment I did not give it, it is not that we are hiding it. If you want, we can give it to you, there is no issue out there. We do maintain it internally, but I think the significance itself got lost and therefore if you know last time, we did not give volume, this time, I have given you total volume. Probably next time, you will get it brand wise, but this is something we alone used to do. I haven’t seen it with any other company, but we give it so that as an investor, you know what is happening in the business much more than what is happening in other companies. Ravi Srivatsva: Sir, the reason, Sumit, I am saying is that because over a period of time, while optically pledge may not be increasing, optically it looks like pledge is increasing and at the same point of time, the disclosures are coming down, it puts a negative impression on the investors as to what is happening? Sumit Malhotra: Again, I will go back to my question, how does pledge affect our company….I fail to understand because this is the decision, I cannot take. Pledging or unpledging of shares is not in my control because the money is not mine, right. What is mine is my company and the disclosures we make from my company, so I take the call on the disclosures I make for Bajaj Corp, irrespective of whether the promoter has pledged or not pledged and these two things are really not related in my opinion. Ravi Srivatsva: Just to directly at the point, the thing is that the person who is pledging the shares is the Chairman of the company, right, so in that sense it is important if the disclosure standards are maintained at the same level as they were? Sandeep Verma: What disclosure are you talking about? What disclosure do you want? I think in the last 48 minutes, we have answered pretty much every question that you people had about volumes, for ADHO, for Nomarks, for Brahmi Amla, for Coco Jasmine. Is there any other brand you have in mind that you want to ask us the volumes off. Tell me your brand that you have in mind. Sandeep Verma: You were saying something specific about disclosure, so if you have any concern, you please read it directly and we will answer it directly. Sumit Malhotra: To cut this argument short, let me assure you that from Bajaj Corp, there is no question that we will not answer, so if you have something that you believe disclosures we have not made, we can answer it off-site or if you want I will put it in the next investor presentation, right, but having said that pledging, I cannot answer that question and therefore, I am trying to request you not to link these two things, which is not correct. Ravi Srivatsva: No, I am not trying to link anything, I am sorry, if it meant that way, I just meant that the disclosures where the previous few quarters whatever we were tracking were not available, that is the only comment, there is nothing else. Sumit Malhotra: If you want, you please send me a mail, I will answer that mail and give you that. Sandeep Verma: Also you can tell us which are the FMCG company you want us to follow the standards of, which does any more disclosures than us, we will do that, we will follow them. Sumit Malhotra: Exactly, over the time that we have IPOs, one thing that I protect very aggressively is disclosure. There is nothing that I hide from you guys and I am going on record on a conference call and saying that. If anybody believes that we are hiding something, please do get in touch with me directly and not to anybody else and I have showed you that this is something that I personally protect very aggressively, so if there is something you would like us to add, we will add, like last time people said you are not giving volume and you are trying to hide and we gave you volume. Now you want to know exactly each brand, I don’t know why you want to know each brand, but if you want, we can add that also. Moderator: Thank you. The next question is from the line of Aman Batra from Goldman Sachs Asset Management. Please go ahead. Aman Batra: Just a couple of questions. See, Nomarks is now expanded to 4 states, just trying to understand what is the salience of UP currently in the business? Sandeep Verma: UP is about 38% for the category, for us it is about 40% now? Aman Batra: Similar to for the category? Thank you. The next question is from the line of Aman Batra from Goldman Sachs Asset Management. Please go ahead. Aman Batra: Similar to for the category? Sandeep Verma: Similar, it used to be about 25% for us when we started the UP project 1-1/2 years ago, but it has now come to the same salience as the category. on 5 markets outside India. We are focusing on Nepal and Bangladesh within the SAARC countries and then in Middle East we are focusing on KSA, Saudi Arabia and UAE four, and we are looking at one market in South East Asia, so we have a good presence in Malaysia, but we are looking at expanding into one bigger market in South East Asia like Indonesia. So this would be the five pillars of our international business strategy going forward. financial year and all of this financial year, the total of around 25 crores. Moderator: Thank you. The next question is from the line of KR Senthil from Crest Wealth Management Private Limited. Please go ahead. KR Senthil: I just want to know, out of this 24 crores employee expenses, is this 1.6 crores accounted sir, the ESOP numbers? Sumit Malhotra: Yes, as per accounting, not to add everything, even gratuity that you may need to give has to be accounted. KR Senthil: Again, even if I adjust that 1.6 crores, I am seeing an increase of close to 16%, 17%, is this will be increase going forward sir? Sumit Malhotra: Increase of this should be the steady state going forward except for first quarter of next financial year where the increments would hit. KR Senthil: Is it because of we are adding employees or across the regions or due to international expenses? Sumit Malhotra: No, international is not the big part of it. It is basically we are adding layers to most of our support function. Also, this is not a major increase in sales people. Moderator: Thank you. The next question is from the line of Abneesh Roy from Edelweiss. Please go ahead. Abneesh Roy: Sir, a few follow-on questions. First is e-commerce FDI retail, there has been some change and FMCG is seeing very strong growth. Because of the discount and cash back being made much lower, do you see a big impact on FMCG growth for you in the sector? Sandeep Verma: Not for us for sure. In fact it is good for us because we anyways are a premium brand and we don’t like selling at discount on any channels, so in fact e-commerce was becoming a bit of a challenge for us, just on this account and that is why we were limiting the platforms that we were going on e-commerce, so actually if the discounting comes down, it will be good for us because that will help us in terms of competing with some of the other mid-price and discount players on e-commerce. Abneesh Roy: And second one was also on regulation on the tariff order in terms of the new media rules. How does it impact your media planning next few months, because viewership rating for TV channels will become extremely volatile, so will you go as per the historical or will you take the new research findings, how do you deal with it? ultimately hair is also very important? Sumit Malhotra: Obviously Abneesh, we can’t tell you what we are working on, but to answer your question, the reason why we started our innovation centre was this because we were launching or we were looking at products without really testing the claims, and when we don’t test claims and you start making claims like darker hair, less dandruff, less white hair or less hair fall. Without claim substantiation, you open yourself to such competitors who come in with expert and can say that we are more certain of an outlook, then you are. Having said that, yes, there are lot of opportunities we are looking at because hair and problems with the hair are growing and therefore, if we can get good product which satisfies the need of the consumer, we could form a niche of ourselves. that we are perhaps the most transparent company in the FMCG space and if you believe we are not, please reach out to me directly, not through anyone else and I will try and take care of that part of your doubts that are there. Thank you.